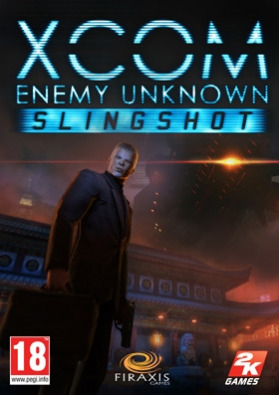 NOTICE: Requires the base game XCOM: Enemy Unknown in order to play. Activation key must be used on a valid Steam account, requires internet connection. ABOUT THE GAME In this new set of linked Council missions, you will meet an enigmatic Triad operative, divert an alien ship’s course, and do battle with the aliens in the skies over China. The content pack also includes new customization optio… ns and a new soldier with a unique voice and story. SYSTEM REQUIREMENTS Minimum: OS: Windows Vista Software: Steam Client Processor: 2 GHz Dual Core Memory: 2 GB RAM Hard drive: 20 GB free Video memory: 256 MB Video card: NVIDIA GeForce 8600 GT / ATI Radeon HD 2600 XT or greater Sound card: DirectX Compatible Recommended: OS: Windows 7 Processor: 2 GHz Dual Core (Intel Core 2 Duo 2.4 GHz or Athlon X2 2.7 GHz) Memory: 4 GB RAM Hard drive: 20 GB free Video memory: 512+ MB Video card: NVIDIA GeForce 9000 series / ATI Radeon HD 3000 series or greater Sound card: DirectX Compatible Other Requirements & Supports: Initial installation requires one-time internet connection for Steam authentication; software installations required (included with the game) Include Steam Client, Visual C++ 2008 Redistributable, DirectX and Microsoft .NET 4 © 1994-2012 Take-Two Interactive Software, Inc. Take-Two Interactive Software, Inc., 2K, 2K Games, Firaxis Games, XCOM, and XCOM: Enemy Unknown, and their respective logos are trademarks of Take-Two Interactive Software, Inc. The ratings icon is a trademark of the Entertainment Software Association.Unreal® is a registered trademark of Epic Games, Inc. Unreal® Engine, Copyright 1998-2012, Epic Games, Inc. Uses Bink Video Technology. Copyright © 1997-2012 by RAD Game Tools, Inc. This software product includes Autodesk® Scaleform® software, © 2012 Autodesk, Inc. Autodesk, and Scaleform are registered trademarks or trademarks of Autodesk, Inc., and/or its subsidiaries and/or affiliates in the USA and/or other countries. © 2012 NVIDIA Corporation. All rights reserved. NVIDIA, the NVIDIA logo, PhysX, The way it’s meant to be played, and 3D Vision are trademarks or registered trademarks of NVIDIA Corporation in the U.S. and other countries. All rights reserved. All other marks are property of their respective owners.